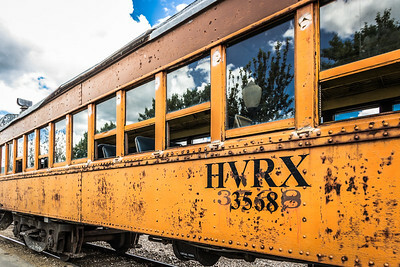 A collection of antique locomotives along with their transportation sources. 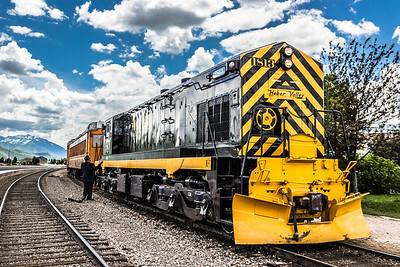 Diesel Locomotive No 1813 pulls passenger cars along the Heber Valley Railroad in Utah. The conductor communicates with the engineer just prior to departure from the station. 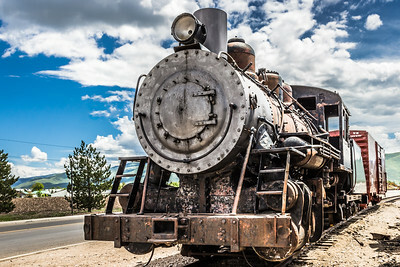 Steam Locomotive undergoing restoration at Heber Valley Railroad in Utah. 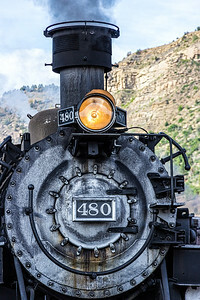 Close up view of the Superheater Engine 480. 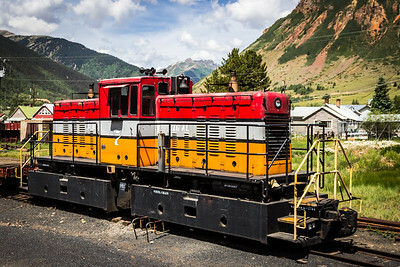 Switch Engine Big Al No 7 stands by in Silverton Colorado. 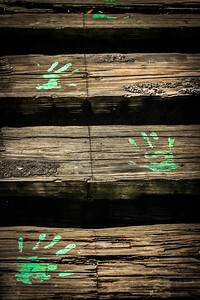 Green hand prints walk across the rails of an abandoned railroad track. 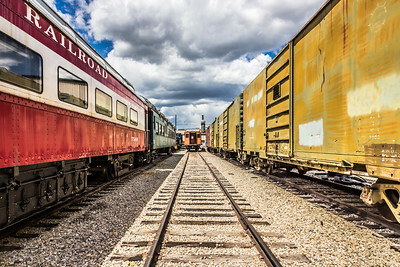 Coach cars and box cars line the tracks in the rail yard at Heber Valley Railroad in Utah. 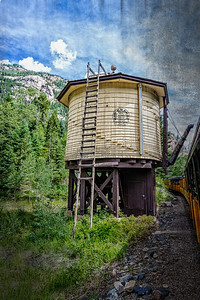 The water station is used to replenish water in the old steam engines. 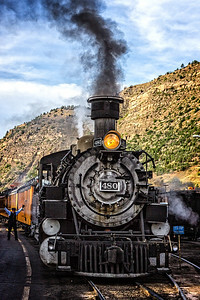 The old locomotive lets off steam as it crosses the trestle. 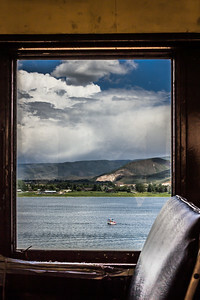 A lovely lake view from the window seat on the Heber Valley Railroad. 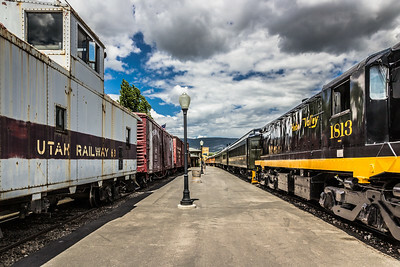 Utah Railways Caboose along with a line of historic box cars are lined up in front of the Heber Valley Railroad Station. 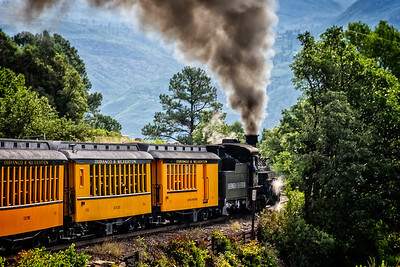 Passenger Car 3568 carries passengers along the Heber Valley Railroad. 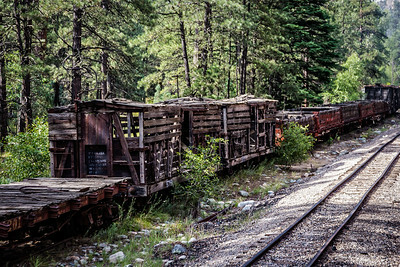 A line of dilapidated box and rail cars lie in ruins along the edge of the railroad tracks. 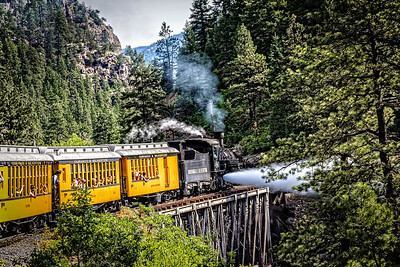 Durango-Silverton Narrow Gauge Railroad carries passengers between Durango and Silverton Colorado. 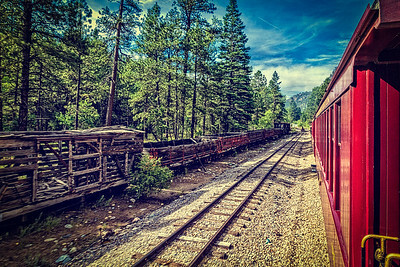 A line of dilapidated box and rail cars lie in ruins along the edge of the railroad tracks between Durango and Silverton Colorado. 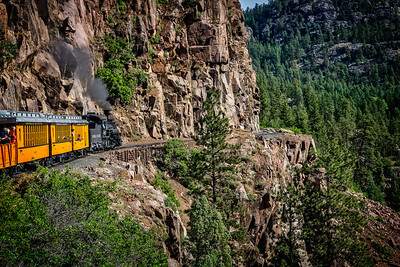 The Durango Silverton Narrow Gauge Railroad takes passengers along sheer cliffs and around mountain bends. Creosote oozes from a railroad tie on an old, abandoned railroad trestle. 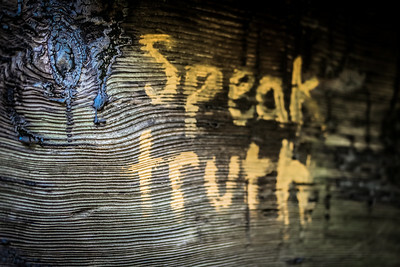 Graffiti message on an old, wooden railroad trestle. A message is written on an old, abandoned railroad trestle. 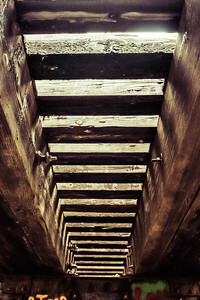 The underside of an old, abandoned railroad trestle. 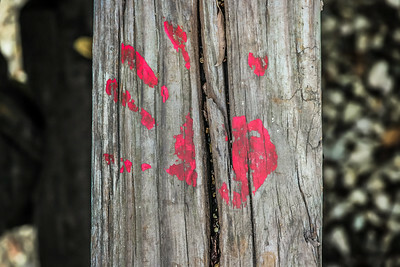 A red hand print is stamped onto a railroad tie that is part of an old, abandoned railroad trestle. 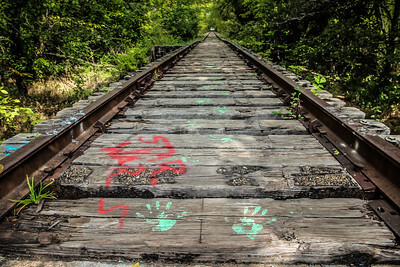 Graffiti art adorns and old, abandoned railroad track.